Bahía Graf, general printers, Camarones 3955, Buenos Aires, Argentina. Bahía Graf printers specialise in brochures, catalogues, magazines, journals, prospectuses, books. labels and so forth, not to forget playing cards. 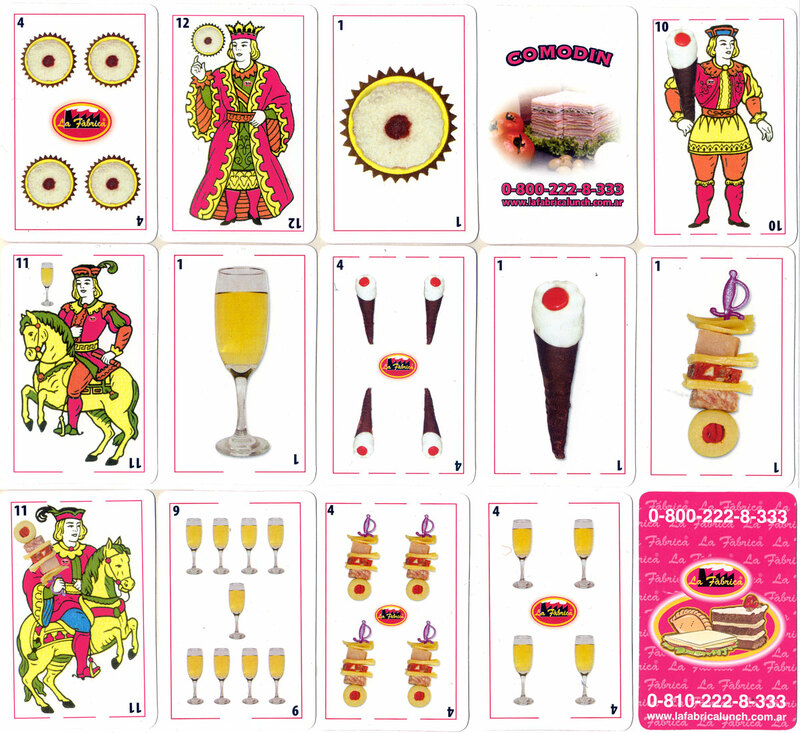 The pack shown on this page is specially designed for La Fábrica sandwich bar and cake shop, in which the standard Spanish suit symbols have been exchanged for edible ones, and little logos have been incorporated on the fours and court's. The jokers show a pile of sandwiches.